Amazing! This is a green-bitter leafy plant of Middle East that can identify itself as a ‘food’ of the country since so long. 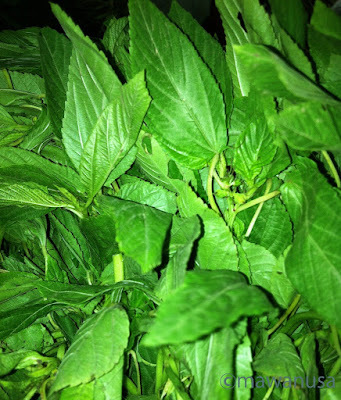 A corchorus species plant called ‘molokheyyah’ or mulukhiyah or malukhiyah used as a vegetable to be cooked in variation of what you have in mind to add in. Molokhia as I found, is very interesting and when I asked my Egyptian colleagues, almost everybody agreed that this plant is really incredible. And widely consumed by local as variety of their diet. The plant has green small leaves, look like a combination of spinach-mint kind of leaf. And when cooked, the leaves will give thick liquid like that you get when you cook okra or lady fingers. 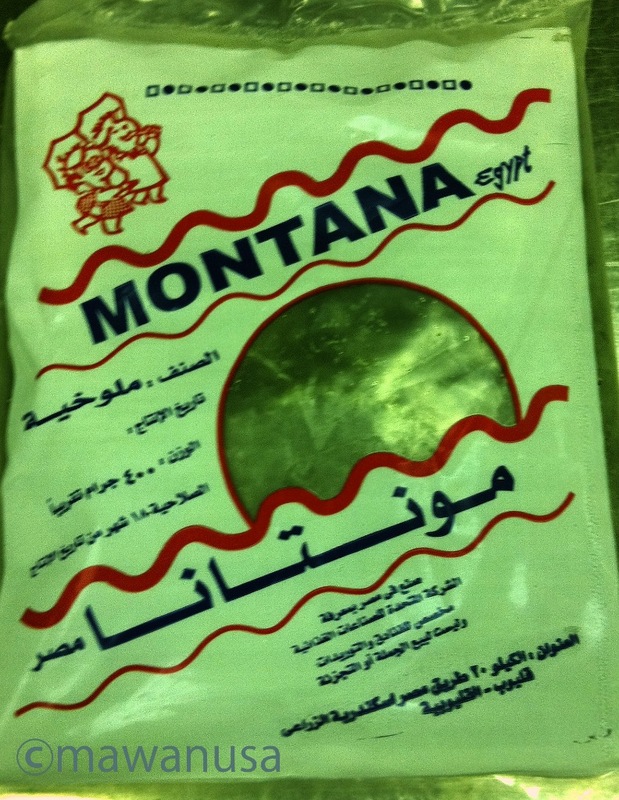 Molokhia is never consumed raw, generally cooked with additional of meat like rabbit meat or chicken in Cairo, or with shrimps in Alexandria or with fish in Port Said. I found some restaurant in Sharm El Sheikh cooked this dish with some shrimps and seafood. This dish mostly turn into kind of liquid dish or soup or stew and having the same name as the vegetables in that particular region culture. Without adding any meat or seafood, this beautiful this will be the best ‘vegetarian dish’ since the plant carries rich in iron, calcium, betacaroten, vitamin C and more than 30 minerals and vitamins that has been traced. This also known as a plant that has very high antioxidant activity. 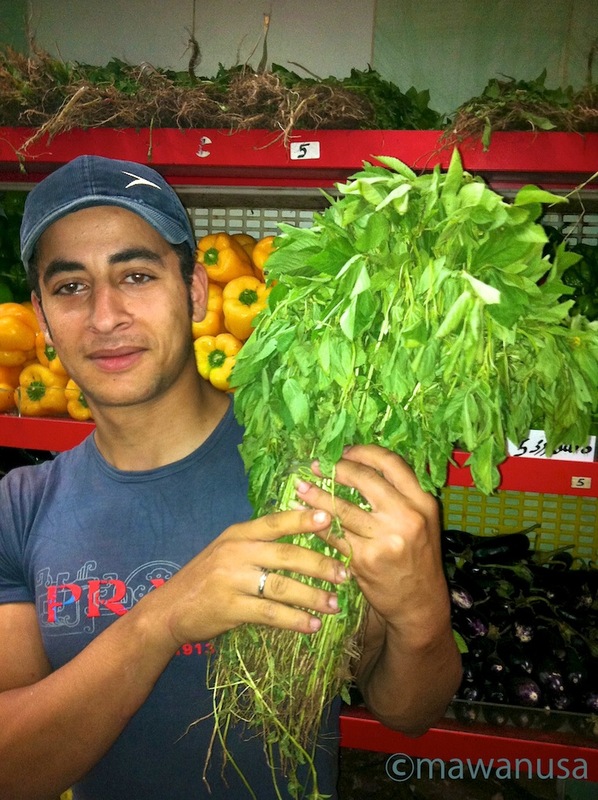 In Egyptian cuisine; when you use fresh molokhia, remove the central spine from the leaves. Finely chop them and cook with garlic, cumin, salt and pepper. This is the basic of preparing this majestic this. In ancient Egypt, only the kings and nobles are allowed to consume the leaves because will give a fantastic effect of strength and healthiness that where were the ‘molokheyyah’ picked it name originally. Molokheyyah means for kings and nobles. 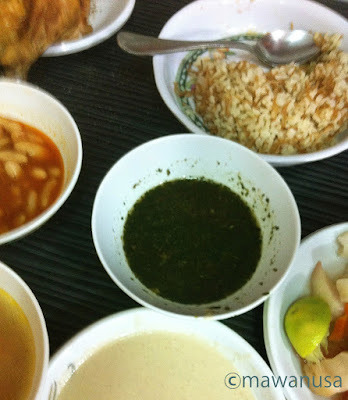 Few menu for molokhia are: Molokhia Soup with Rabbit, Molokhia Soup with Shrimps, Molokhia Soup with Chicken, Molokhia Soup with Fish, Molokhia Soup with Seafood. I love my ‘molokhia’ soup a bit spicy, so I add some ‘bih jolokia’ chili powder from Assam. Mmmm hot, spicy and yummy. I also add 1 tomato, chopped, as I like to have bit more tomato flavor. 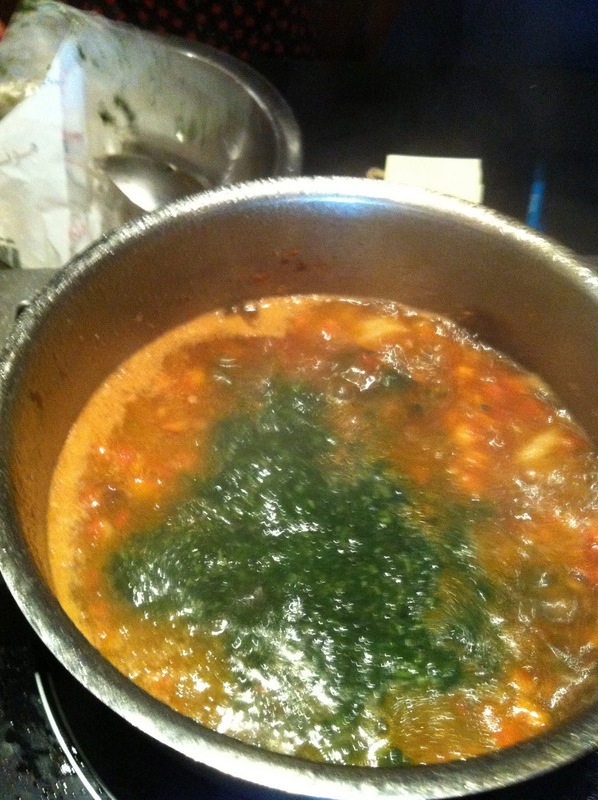 I called my soup Molokhia Soup with Tomato. Some other occasion I added tofu to my molokhia soup to create a vegetarian dish, Molokhia Soup with Tofu (sound bit Asian). I tried to have Molokhia Tom Yam but was not success. The taste was not come out right. But it was amazing when I do it in ‘Hot and Sour Molokhia Soup’. This is only trial on how molokhia can influence other cuisine. I still like the original taste of Egyptian Molokhia Soup. 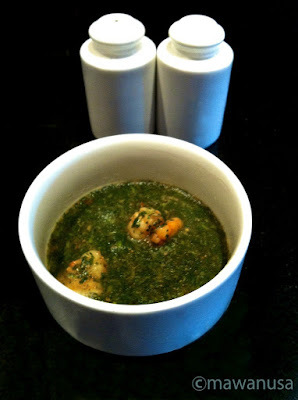 You will need small soup pot and wooden spatula to cook this soup. Place the pot over medium heat and add the butter in, sauté the garlic and then cumin and add the stock in. Keep the stock to boiling point then slow it down while adding the mookhia leaves. Stir the soup and season with salt and pepper. 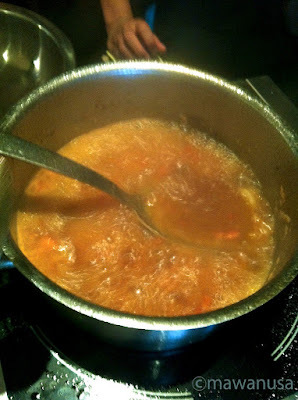 If you wish to add some shrimps, fish or meat; boil first then add in to the soup. That is the basic of the amazing molokhia soup. Some people add chopped tomatoes, onion, chilies, cayenne pepper, lemon juice, etc. The soup is ready to serve with rice, meat, seafood or salad. Try this is a terrific recipes and stay healthy and enjoy the food that fit for Pharaohs!